Would you like extra space for a home office, music room, beauty therapy, playroom, home gym or just somewhere to go and chill ? We are excited to introduce our new garden room range which are usable all year round. Our garden rooms are fully insulated and have up to 3 times extra wall insulation than timber garden rooms. Installation normally takes 4-5 days and in most cases you do not need planning permission. 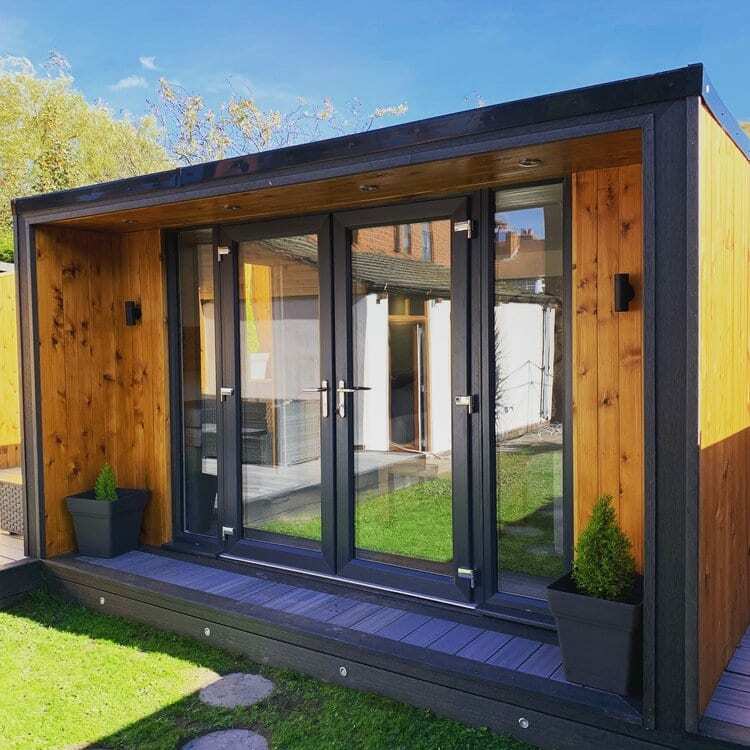 Garden Rooms provide that extra space instead of moving house or are ideal when working from home. Our garden rooms are a self-contained building to use all year round. They are constructed with a core of high performance insulation to keep the space warm and energy efficient, with a warm weatherproof roof for year-round protection from the elements. Covered by a 10 year warranty against warping, cracking, splitting, rotting and fungal decay caused by manufacturing defects, when subject to normal use gives you peace of mind and a great investment for your home. The garden rooms come in a range of different sizes, two styles, and four different colours. They are eco friendly, low maintenance, waterproof, durable and long lasting, and supplied with all windows, doors, fascias, soffits and a power outlet. 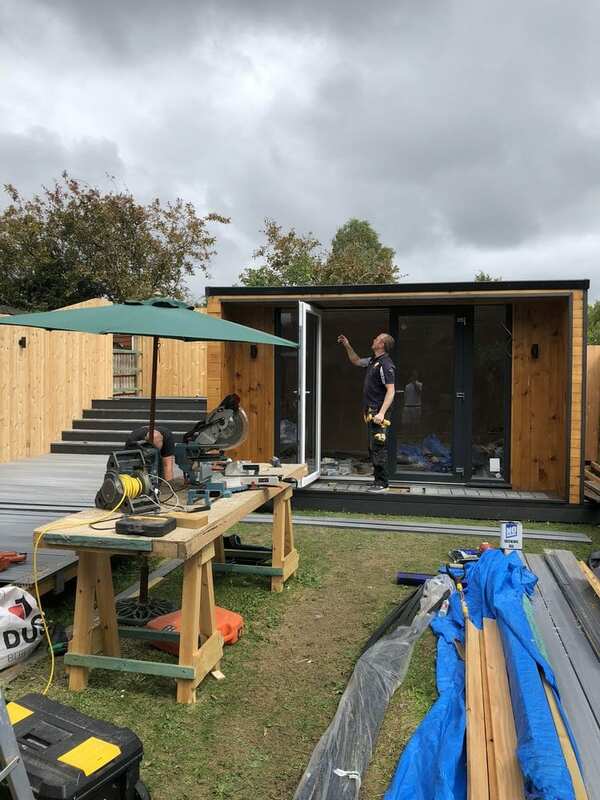 In most cases you will not need planning permission to erect a garden room – if the eaves height is under 2.5 and it doesn’t project beyond the front wall of your house. In general, adding a stand-alone, single storey garden room to the rear or side garden is usually allowed under Permitted Development. 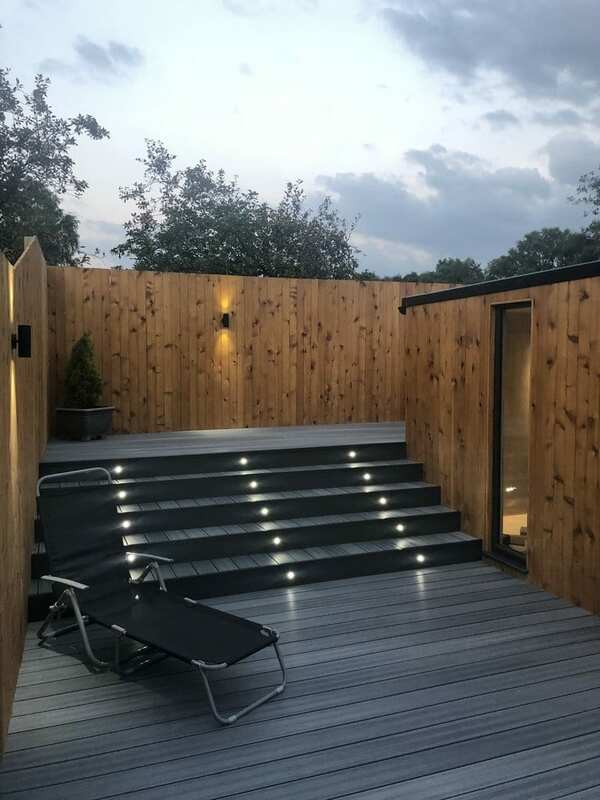 However, we recommend that you check the Government’s Planning Portal online before starting any work on a garden room to ensure you comply with the rules. The planning portal refers to garden rooms as outbuildings.